Dr. Qazi Kholiquzzaman Ahmad, Chairman, PKSF and Md. Abdul Karim, Managing Director, PKSF visited Zamzam Bangladesh and ENRICH activities of TMSS from December 19-21, 2015 at Sylhet. Dr. Md. 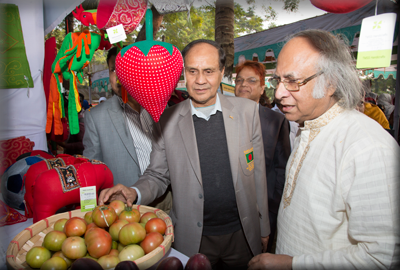 Jashim Uddin, Deputy Managing Director, PKSF also accompanied them during the visit. 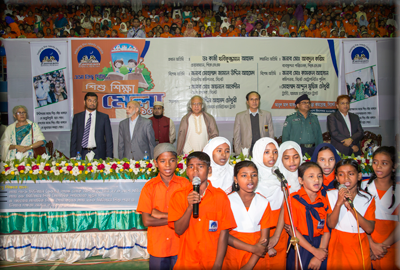 Zamzam Bangladesh is implementing special health and education programme in 80 education centres with 3500 students. ‘A Children Education Fair’ was held on December 20, 2015 at Sylhet Abul Maal Abdul Muhith Sports Complex to create incentive for the underprivileged children. Dr. Qazi Kholiquzzaman and Md. 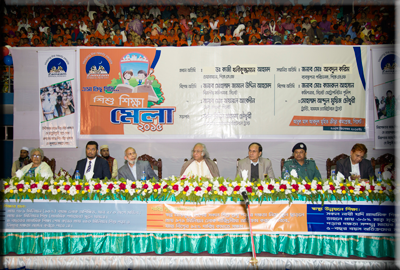 Abdul Karim were present as the Chief Guest and Guest of Honour respectively in the event, which was chaired by Mr. Moin Uddin Ahmad Chowdhury, Chairman of Zamzam Charitable Trust. Mr. Kamrul Ahsan, Poloice Commissioner of Sylhet and Dr. Md. Jashim Uddin, DMD, PKSF were also present as special guests on the occasion. The chief guest and guest of honour distributed school dresses among the children. They also distributed computers, sewing machines and wheel chairs to various persons in the programme. 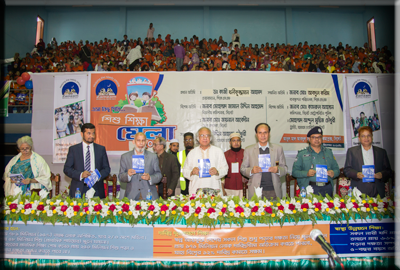 It may be mentioned that Zamzam Bangladesh, with the help of Zamzam Charitable Trust, has been implementing education, health, rehabilitation, training programmes for the last seven years. On the second half of the day, Chairman and Managing Director of PKSF visited different activities of ENRICH programme in Tetli Union of Sylhet Sadar Uazila where PKSF’s Partner Organization, TMSS is implementing the programme. DMD (A&F) of PKSF and Executive Director of TMSS also accompanied them. They visited an ENRICH School, a Development Fair of ENRICH and a free health camp and attended a ward coordination meeting held at the Tetli Union ENRICH Centre. A discussion meeting was also held at Tetli Union Parishad in which Dr. Qazi Kholiquzzaman Ahmad and Md. Abdul Karim were present as the chief guest and guest of honour. Dr. Md. Jashim Uddin, DMD, PKSF, Professor Dr. Hosne Ara Begum, Executive Director, TMSS, Mr. ASM Ferdous, ADC, Sylhet and Ms. Srabosty Roy, UNO, Sylhet Sadar Upazila were also present as special guests. The Honorable Chairman and Managing Director expressed their satisfaction on the overall progress of the programmes and provided some important suggestions for further improvement.